The vastness of space – much of it is still unexplored. Is it because Arthur Schwesig, head of the research and development department at MGG Polymers, likes to look towards the starry sky in his free time? In any case, he likes to set off in his profession to explore unexplored areas. As is well known, this takes time and patience – as does the technical development for recycling PC/ABS (polycarbonate / acrylonitrile-butadiene-styrene). 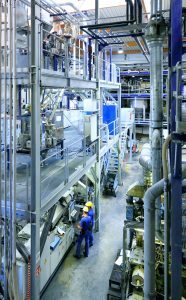 “The product development took six years in total,” says Schwesig about the developments needed to get the necessary technology off the ground at MGG Polymers. It was a big venture when the company decided six years ago to start recycling PC/ABS. While some plastics can already be recycled relatively easily and profitably, other fractions have to be disposed of. PC/ABS used to be one of the plastics that needed to be disposed of. Therefore, there were no known separation processes or experiences with the separation of this polymer at that time. It was high time for Schwesig and his team to change this. The expedition to unknown regions was tackled by MGG Polymers with strong partners. This improved the company’s own separation processes. “In some areas, really big efforts were necessary. For example, the technologies behind these separation steps had to be completely redeveloped,” reports Arthur Schwesig. In the course of last year, the project was finally completed – a huge step forward that yielded astonishing results. The separation efficiency is an outstanding 95 percent – and this is to be increased even further if possible. In order to complete the recycling of PC/ABS, the material must not only be optimally sorted, but also compounded and converted into pellets. Three years ago, a new extruder line was designed at MGG Polymers’ plant in Kematen to cope with this step. This also conceals important innovations – such as high-performance degassing devices – which have since been adopted by leading plant manufacturers in the industry. 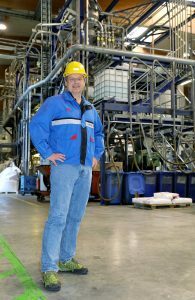 MGG Polymers has thus set new trends, which is not surprising given the significant advantages for R&D manager Arthur Schwesig: “This powerful degassing process allows pollutants produced during processing to be removed much better. In addition, the odor of the end material can even be improved – this is particularly important for customers in the packaging and automotive industries. In addition, the system makes it possible to dose additives in their pure form, which can significantly influence the properties of the recycled plastic produced. “Often there are no ready-made solutions on the market, so we have to develop them ourselves. It’s a good thing that we have such a flexible system with which we can also try out a number of things,” says Schwesig, seeing many more development opportunities. All these efforts have paid off: The recycled PC/ABS can be used for high-gloss components such as monitor housings, sheathing for routers, beamers, PCs or other electronic devices as well as in the automotive industry. 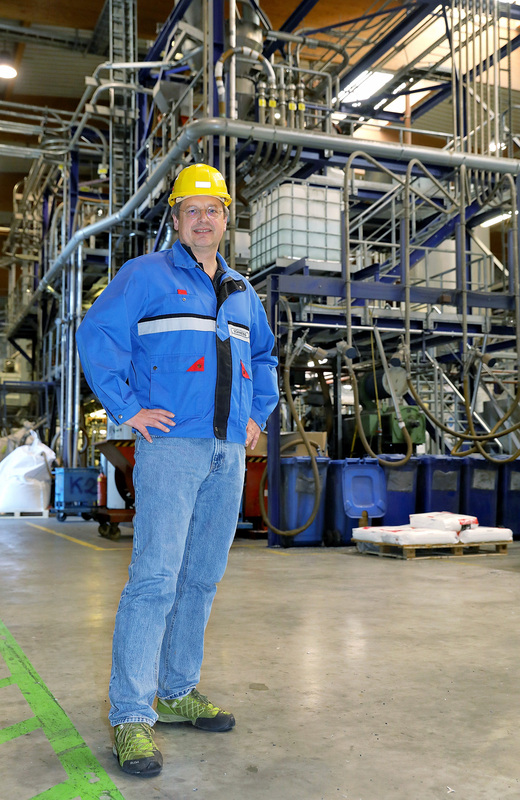 “Manufacturers have subjected our post-consumer recycled plastic to numerous tests and certified that they have found no difference between our material and virgin material,” says Arthur Schwesig, pleased that the hard development work is bearing fruit. The PC/ABS recycled by MGG Polymers even offers an ideal basis for high-performance applications. This made it possible to realize even the highest fire class PC/ABS for electrical appliances without using environmentally harmful additives such as brominated flame retardants. In space, hobby astronomer Arthur Schwesig keeps discovering new things – and he is sure that he and his team will also succeed in recycling plastics. If the 51-year-old is to be reused, the reprocessing of PC/ABS is just the beginning at MGG Polymers. Other types of plastics are to follow in the near future – partly because things are set to change. “We already know today that the composition of plastics in waste streams will change. After all, today’s electrical appliances are no longer the same as they were 5 or 10 years ago,” says the MGG Polymers Research Manager, who already has some ideas. In order to be prepared for this, the Fraunhofer Institute and the Fraunhofer Institute are looking for sensor technologies that will be available in the next few years. 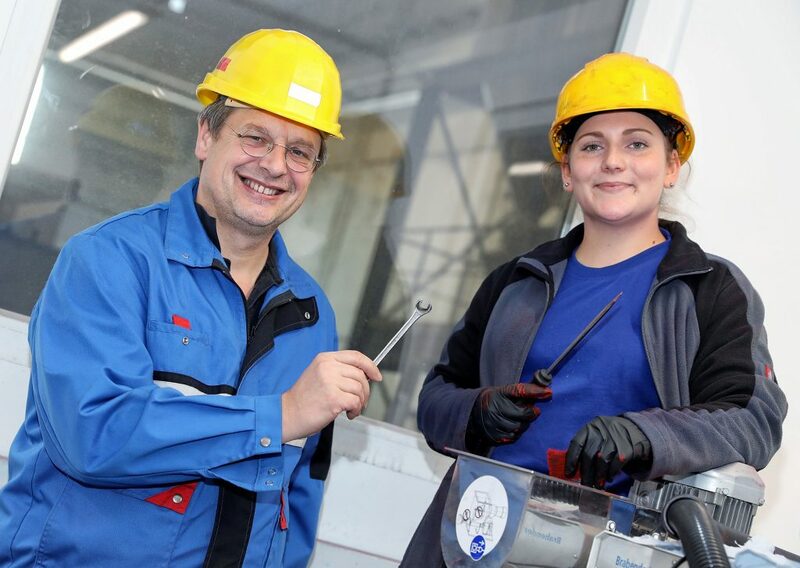 In addition, the small but fine research and development department at MGG Polymers is working with 200 partners worldwide on new developments – from universities, technical colleges, research institutes to suppliers. “In the end, there should be no high-academic theories that cannot be implemented, but concrete applications,” explains Arthur Schwesig – such as the recycling of PC/ABS from old electronics. The MGG polymers plant currently produces 200 tons of this per month, and the trend is rising! At MGG Polymers, PC/ABS has already established itself as a fixed star in the sky of PCR plastics – to the delight of hobby astronomer Arthur Schwesig.